Dogs like to eat almost everything they find when out for a walk, and if your dog finds a chicken bone he is going to try to eat it. Should you panic and jump in your car to get your dog to the vet? 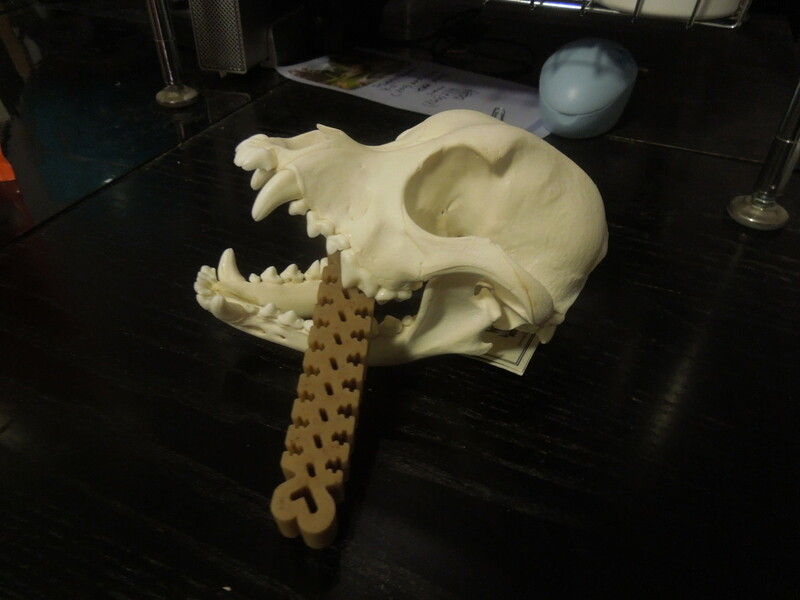 I have seen many dogs eat chicken bones over the years with no problems. My own dogs eat chicken bones, raw, almost every day. They consume a diet that includes chicken necks, feet, carcasses, and wings, and eating the bones is the way in which they get their calcium. Many dogs that live out on the street also eat cooked chicken bones. I would not recommend this as a healthy diet, and certainly would not feed my own dogs this way, but those dogs are not suffering from torn throats and obstructions. They eat, chew the bones properly, and survive on other foods that make their stools bulky. If your dog does eat some chicken bones, there is probably not going to be a problem. Feed something to make sure that she has extra stools for the next few days, and they will probably pass without harm. Add some Metamucil (psyllium fiber)to the food so that it will draw more water to the stool and make it even bulkier; it is a good idea to always have this product on hand. The dose is about one teaspoonful to each 10 kilos (about 22 pounds) of your dog´s weight. 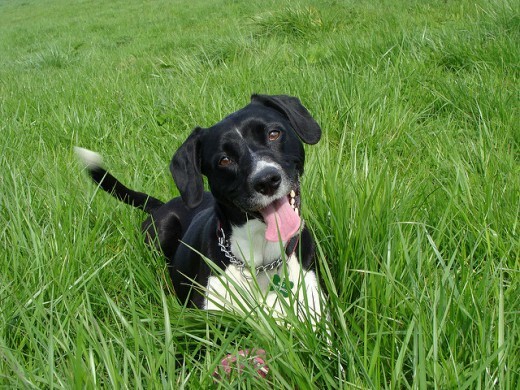 Lentils are another food that are bulk laxatives and will help your dog pass the chicken bones. Some dogs like the taste, others do not, so mix them in with the beans according to the dog´s preference. You can mix up half pumpkin and half lentils if your dog will eat this mixture. When the bones are raw they are soft and easy to swallow. It is normal for people who give their dogs raw food to include chicken bones as part of the diet. 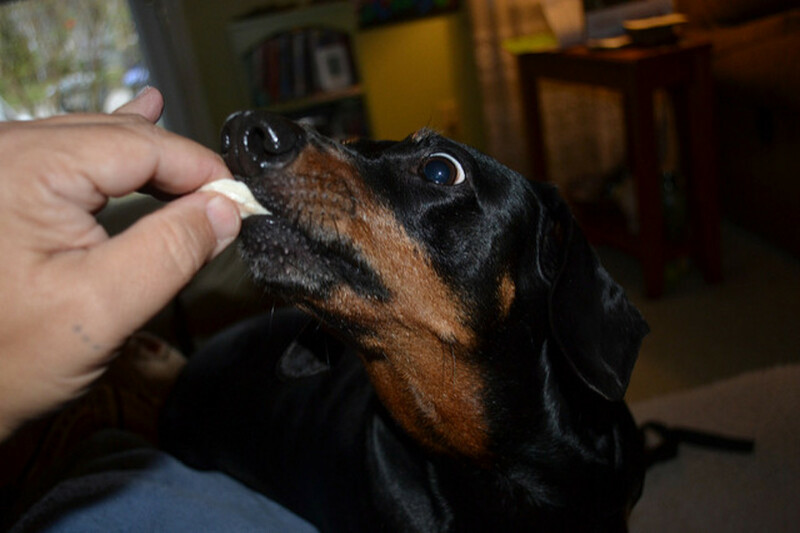 I usually give my dogs the necks, with the fatty skin removed, but chicken wings and chicken wing tips also provide a great source of calcium. 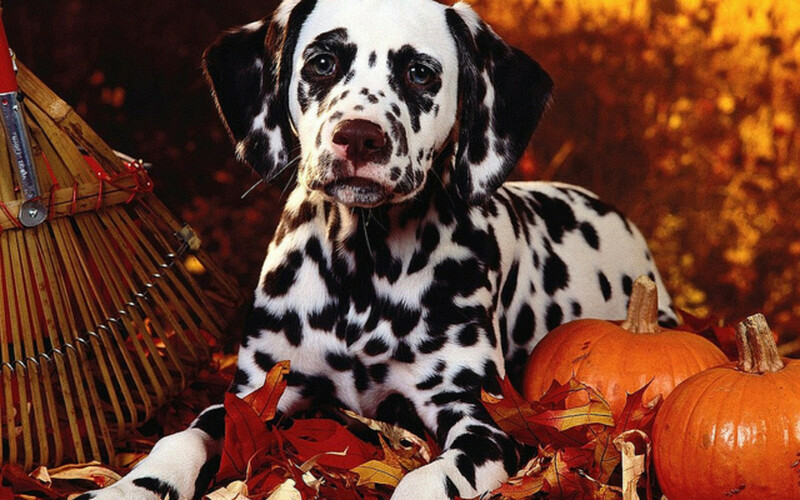 Let your dog eat as much of the pumpkin and lentil mixture as she wants. I have never seen a dog overeat when offered this mixture, but if your dog is prone to gastric bloating you will need to feed her a smaller meal every hour. Feed your dog the pumpkin/lentil mixture. Make sure water is available free choice. Take her for several long walks in the next 12 hours to encourage her to pass stool. If there is an area where she can run off leash she is much more likely to stop and pass stool. Do not worry if you are not able to see the chicken bones in the stool. 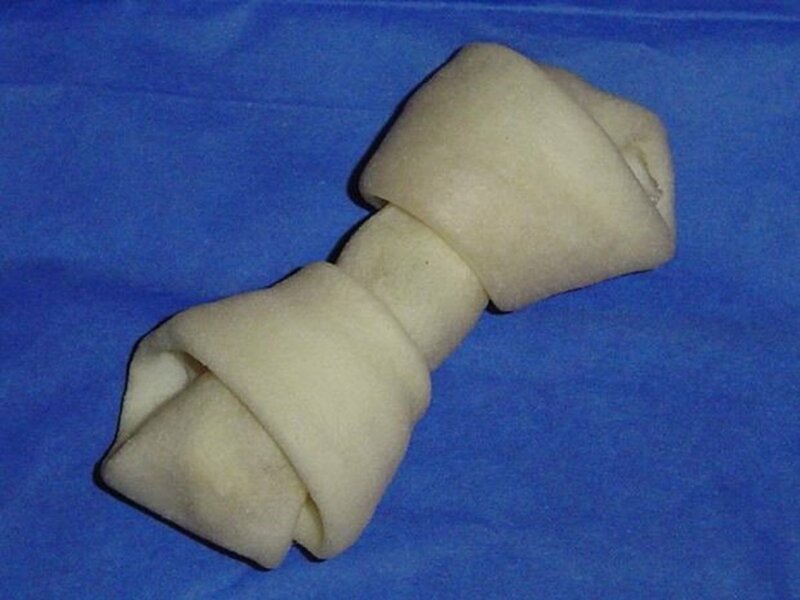 Most dogs will chew the bones and they will be digested normally. Some dogs are so used to being yelled at having bones taken away from them that they will “wolf” them down without even swallowing. These are the dogs most likely to have problems with choking or the bones becoming stuck in the bowels (an obstruction) later. You need to learn how to handle a choking dog so that if this happens when out on a walk you can save her life. 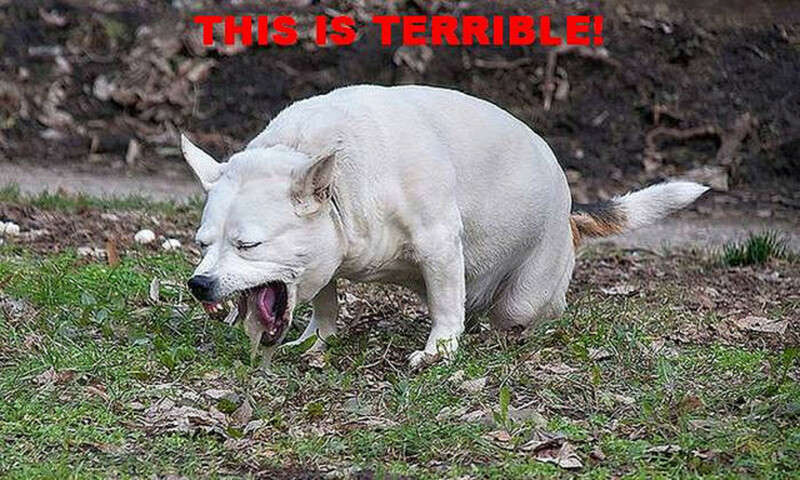 Vomiting is the main sign, and almost all of the dogs I have seen over the years have this sign. It is hard to ignore, but some other dogs will just drool a lot, which may be kind of normal for the breed. 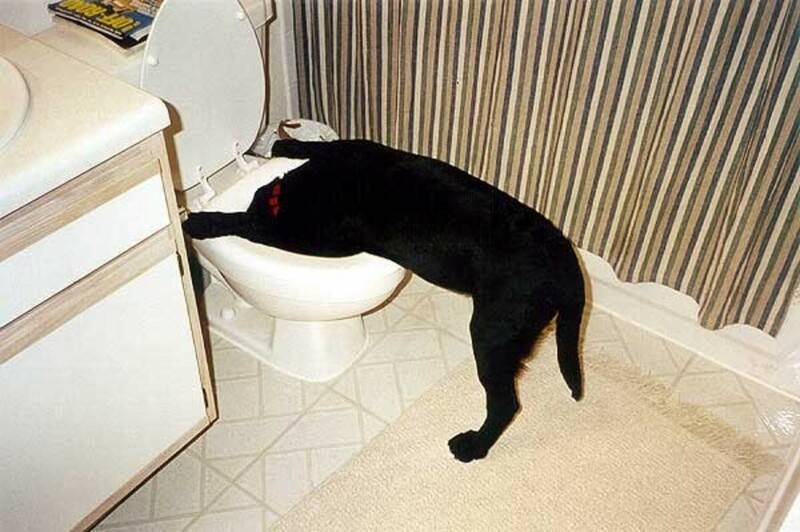 If the dog is not drinking, dehydration. If your dog does have the symptoms of obstruction in the days following his chicken bone incident, I would recommend you take her in to see her regular veterinarian. If you do not know the answer to this question, spend a few minutes today and find out! Ask your regular veterinarian how common this problem is in his clinic, and how many dogs have died in his clinic after eating chicken bones. This is one method to teach your dog "leave it". This command is important if you come across chicken bones or other tasty and potentially dangerous edibles when out for your daily walk. Take a few minutes out of your busy schedule and find out what to do if your dog does choke on a chicken bone. You might end up saving her life. My dog got a hold of a cooked chicken bone. She only got about a half maybe less of the bone down before I realized and got it away from her. She started having diarrhea some slightly bloody, mostly not. She is drinking; she is eating. I mean I can tell she doesn't feel good but she's up and down the stairs no issues jumping on and off the bed, she's just kind of lazy today, more so than usual. Is there a possibility that the blood is just from passing the slivers of bone? Yes, it is possible that she just has an "upset tummy" from eating the bones. Unless she starts vomiting I woujld not be overly concerned. If she does become lethargic, or starts vomiting, you should get her in to see your regular vet and have her examined for an obstruction. How do I know if my dog has an obstruction? The first sign that people notice is vomiting. 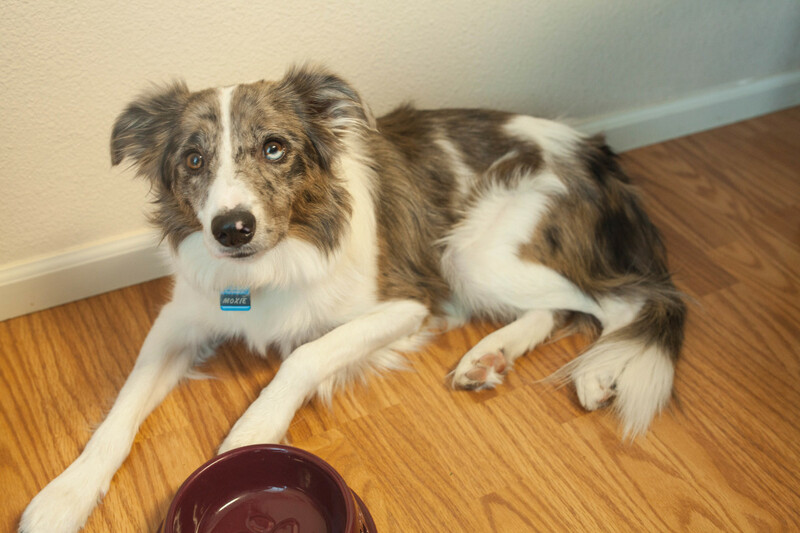 Dogs will usually not want to eat, will have a tender abdomen, act kind of "blah," and not be able to go potty or if they do go will have a loose stool. If your dog does have any of these signs, get him checked out by your veterinarian. Can dogs survive after eating chicken bones? Dogs can survive after eating chicken bones. 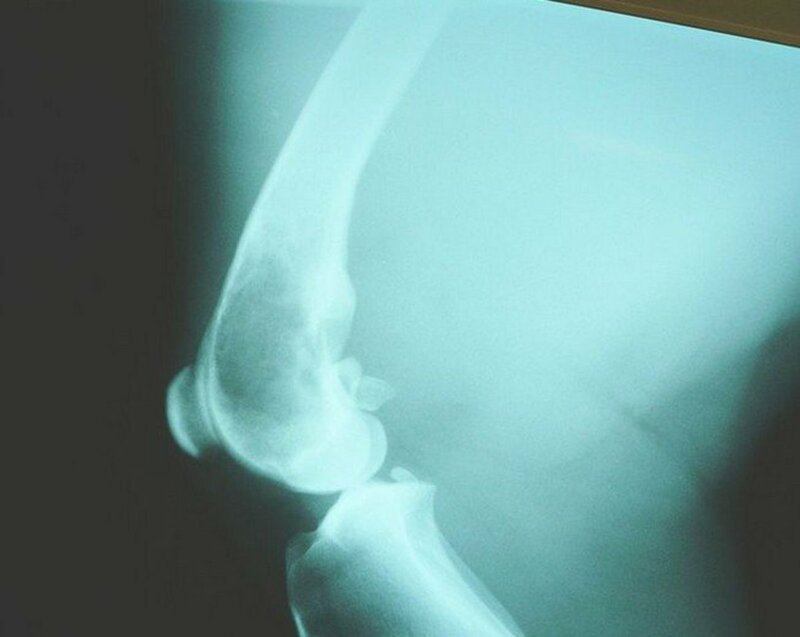 As the article indicates, sometimes it is not even a problem. If I ground the tiny bones in cooked chicken necks, can I feed it to my dogs? I assume you are talking about grinding cooked chicken bone necks to a fine powder. Yes, you can feed your dog a calcium powder. 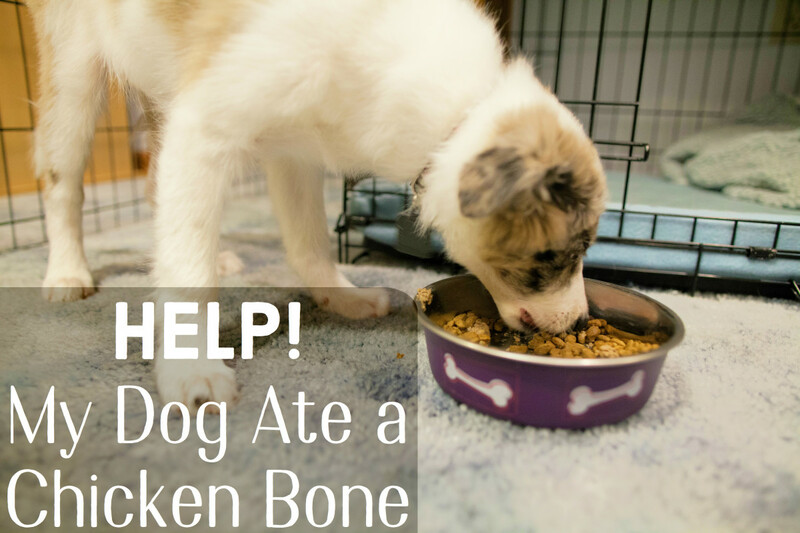 What Should I Do If My Dog Ate Chicken Bones? Heather, since the bone was raw I would not worry about taking her to the vet at this time. Try feeding her a bulky meal as described in the article (pumpkin, for example). 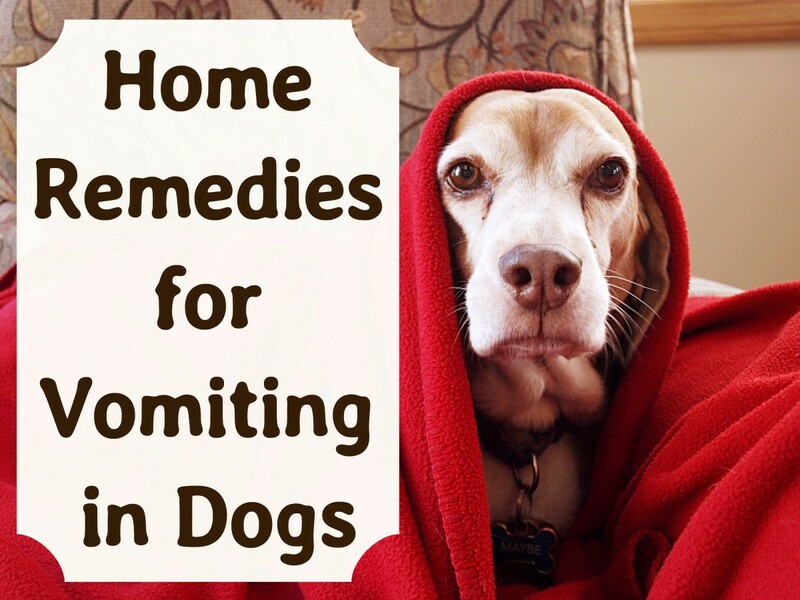 As long as she does not start having any symptoms of obstruction (like vomiting) your dog probably digested the bone, even if you did not see it in the feces. Good idea to chop them in half from now on though! Labs are real chow hounds. Paulette, she most likely has already chewed them up. You can give her a bulk laxative as described but if she is not vomiting or has diarrhea your dog is probably fine. My dog, black lab blue heeler mix ate 1 thigh, 3 wings, and 1 breast. She has pooped 3 times since then but I don't see any bones. Did she possibly chew them up? Her stool is hard so I will try the softener above. She did this Saturday night and today is Monday morning. I hope we are out of the woods soon, my daughter is going to freak!! Bella, you should prepare a laxative as described in the article. If your dog starts vomiting or has diarrhea, especially if it has blood or is black, take her to your vet. My 15 month old Border Collie ate 2 chicken wings today. I am so worried, its been a few hours now and she seems fine, she even ate her dinner and is now sleeping. Should I take her to the vet or should I just keep an eye on her? Thank you so much! If she is obese, the problem may be garbage gut/pancreatitis, not a problem with the bones. If you want to wait a few hours and see how she is doing fasting that is okay. With a small dog, however, she can get sick very fast. I cannot what kind of shape she is in so it is impossible for me to tell you if she needs to go to the vet right away. Wilson, chicken wings should pass just fine. If you need another bulk laxative though try the pumpkin suggested above. I hope they are both okay. I have a redbone coonhound & a black lab. One or probably both got into the garbage when we were at work. It’s winter out. 2 lbs of chicken wing bones gone not even a drop of sauce nothing. It’s been 12 hrs so far so good. I fed them hamburger with grease as well as bread to soften or cushion the bones. Very informative article. I am glad I read it. I will save it for easy reference. My dog is food motivated and I always fear that he may eat a cooked bone at a dumpster or in a park during my hikes and get it stuck somewhere. However, I am not afraid of feeding him raw chicken legs, including the bone, because I have confirmed that raw meat and bones are actually good for the dogs, something that I think you have endorsed in this article. Hi Penny thanks for taking the time to comment. I hope your summer went well up there.